Chance the Rapper performs Nov. 21, 2015, in Oakland, Calif.
Somebody prayed for me, had me on their mind. I’m so glad they prayed. As I reflect on the song today, a rapper from the South Side of Chicago comes to mind because I think someone has been praying for this dude. The production and features on Coloring Book are incredible. Kaytranada, the Social Experiment, Lido, Basstracks and other high-profile producers create a musical landscape for the album that is at once soulful and trippy. The album has features and writing credits from the likes of 2 Chainz, Lil Wayne, Kayne West, Young Thug, Justin Bieber, Future, Kirk Franklin and Jay Electronica … just to name a few. How Chance the Rapper was able to pull all this together for a mixtape escapes me. The only answer I can fathom is that somebody was tarrying at the altar—and Chance thanks them by including three, arguably four, tracks that are essentially avant-garde postmodern gospel. Chance the Rapper doesn’t have an album deal. Let me repeat that: He is not signed to any record label—major or minor. Although he was offered a deal with Top Dawg Entertainment and could have been label mates with the likes of Kendrick Lamar and Schoolboy Q, he turned down that offer to remain independent. That means he is releasing music on his own terms, and he is afforded the freedom to decide what music he wants to make instead of being pressured by record executives to adhere to a sound they think would be financially successful. Yet somehow, he was able to enter into a deal wherein Apple Music had exclusive rights to Coloring Book for two weeks. Further, not only did Apple Music have exclusive rights; it actually promoted the album, during the NBA playoffs, with commercials during prime time. For Chance to pull this off without the backing of a major record label is unbelievable. Like I said, it’s gotta be prayer. In a stunning development, on June 16 the Recording Academy announced rule amendments. The rule changes stated that "streaming music" (read: mixtapes) can now be nominated for Grammys. This comes after years of resistance to the idea of including mixtapes because of their sometimes uneven nature and problems with clearing samples. This announcement comes after a petition created by a man named Max Krasowitz garnered over 30,000 signatures. 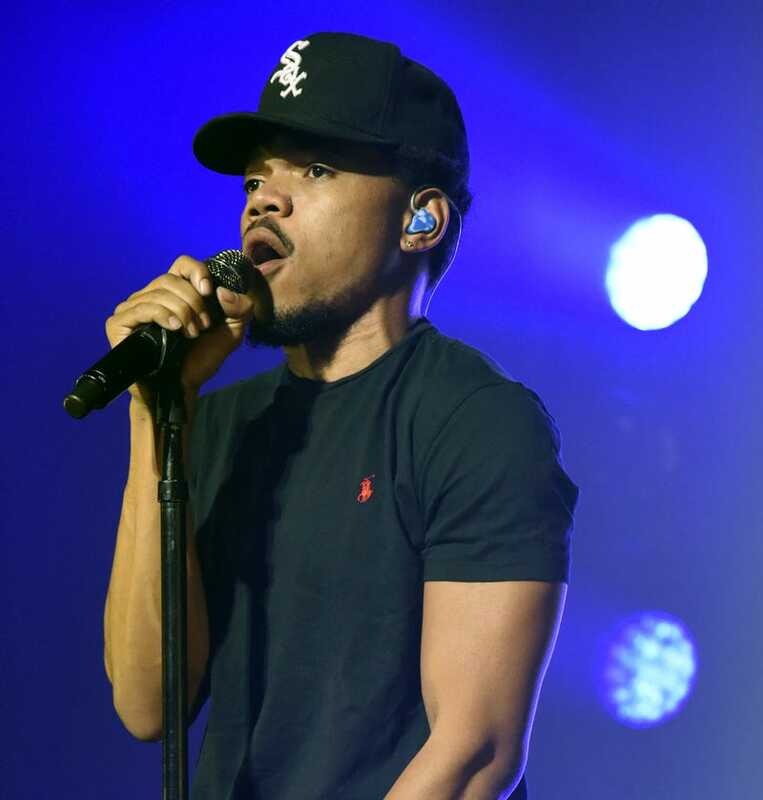 He created it saying that he wanted artists like Chance the Rapper to be recognized for the work they do. The rule amendment is effective immediately, which means that Coloring Book is now positioned to be the first mixtape to win a Grammy. If that’s not divine intervention, I don’t know what is. Look, it’s possible that all these things are coincidental. That they are the result of an incredibly talented, business-minded artist forcing those in the music industry to take note and make room for his brilliance. It’s also possible, as Five-Fifths said on Negroes With a Podcast, that President Barack Obama is his secret benefactor. They are both from Chicago, and if it is true that "real recognize real," perhaps Obama’s real recognized Chance the Rapper’s real and used his presidential influence to make all these things happen. But I think that's far-fetched. Using Occam’s razor, it’s easy to deduce what’s going on here. Somebody prayed for Chance the Rapper.